Xtreme Xperience, one of the nation’s premier supercar driving experiences, was founded by a group of car enthusiasts. Their mission is to make the world’s best exotic cars accessible for everyone to enjoy as they should be—on real racetracks across the US and Canada. Since their first event in 2012, Xtreme Xperience has helped more than 150,000 people cross “drive an exotic car” off their bucket lists. 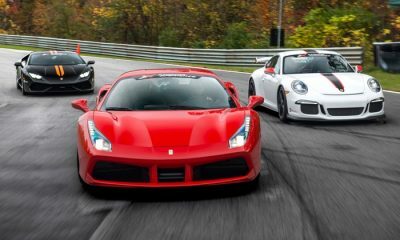 Xtreme Xperience provides a safe, educational, and accessible approach for drivers and passengers who wish to experience the thrill of driving some of the world’s most exclusive cars, including the Ferrari 458 Italia, Lamborghini LP560-4, Porsche 911 GT3, Audi R8 V10, and more. Hosting 25+ events at 19+ racetracks, and a full-time location at NOLA Motorsports Park, you’re sure to find Xtreme Xperience at a racetrack near you. Promotional value expires Jul 27, 2019. Amount paid never expires. Must be 18 or older with valid driver’s license to drive. Must be at least 12 years old and 54” or taller to ride-along with instructor; 6’7” height max. Driver height and weight requirements may vary by vehicle. Extra fee for required track insurance (starting at $39). Day-of-event credit must be used in single purchase on the day of your event and can not be used towards a High-Speed Ride-Along or insurance. Online reservation required. Subject to availability. Must sign waiver. Younger than 18 must have guardian-signed waiver. Limit 2 per person, may buy 2 additional as gift(s). May be repurchased every 90 days. Valid only for option purchased. 350 lbs. max weight. Merchant’s standard cancellation policy applies (any fees not to exceed voucher price). Merchant is solely responsible to purchasers for the care and quality of the advertised goods and services.